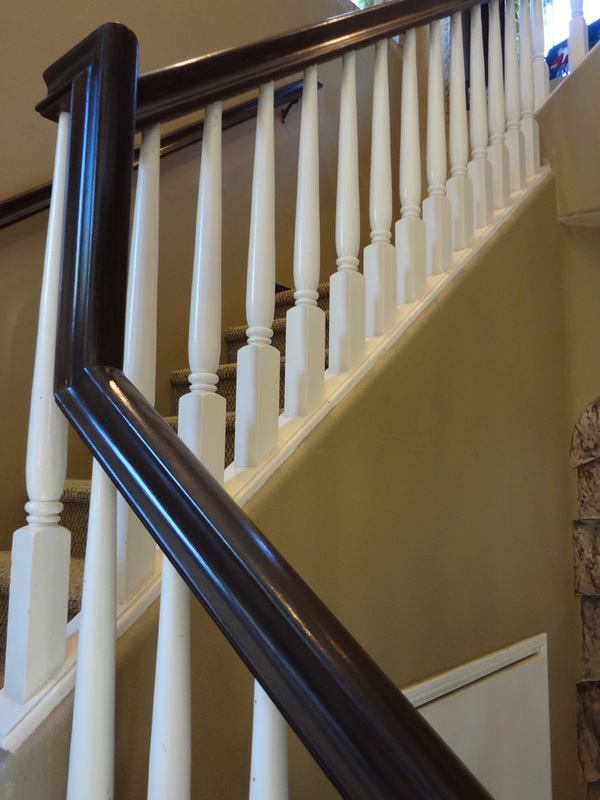 Updated painted stair case – a beautiful way to accent your home! Just came from a meeting with someone who’s railing was not prepared and painted correctly years ago, to which there are many chips, revealing the layers of 2 past colors. Time for the Painting Doctor to go to work!